Mentally, I was trying to prepare myself for my second daughter’s first day of preschool. With my oldest daughter, Hafsah, the transition to preschool was a smooth one, for she had been to daycare since the age of two. Hafsah loved daycare so much, she even asked if I could take her to daycare on the weekends – when it was closed. 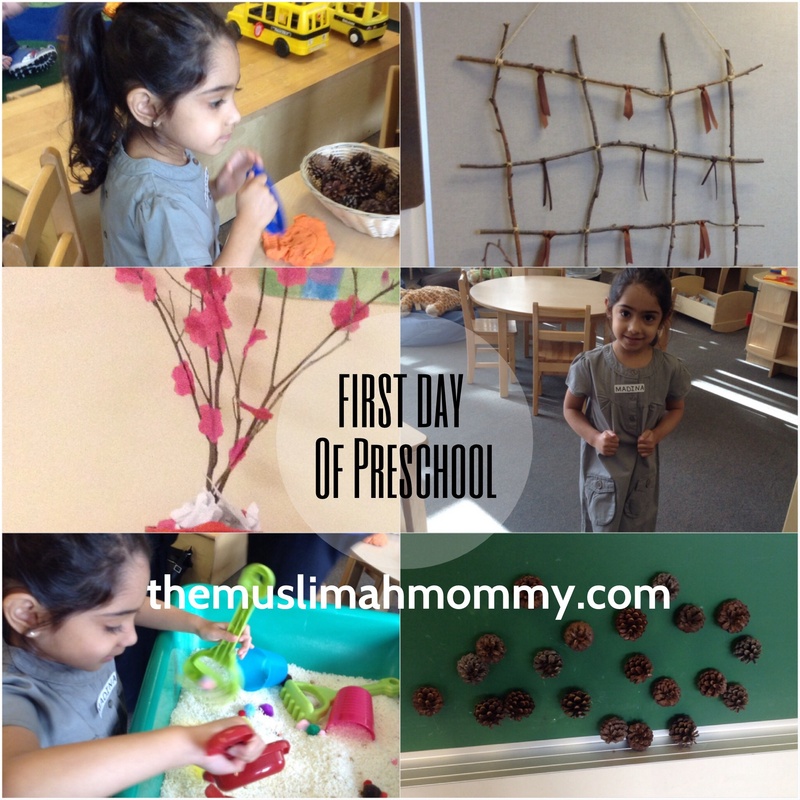 So, for her, going to preschool was something she looked forward to, and therefore her first day was no big deal! However, with my second child, Madina, things were different. She has never left my side, for I have been a stay at home mom since her birth. Initially, I thought Madina would love school, in that last year she would often tell me she had a “great day of school today with my teacher and friends,” even though she had been home all day with me…she’s known for her great imagination. She talked about how she loved school, and she couldn’t wait to go to school to draw pictures for her baby brother, to play outside at recess time, to tell her teacher about her family – the list goes on! Then, two weeks prior to the first day of school she got cold feet. She started crying and saying she didn’t want to go to school because she would miss me and her baby brother. One day, I bought home a battery-powered candle, and she said, “wow mama! I’m not going to go to school anymore, I’m just going to sit at home and watch these lights all day.” Shortly after, I rearranged my living room furniture two days before school, Madina proudly exclaimed, “Mama, what a beautiful house you have, I love it like this. Now, I’m not going to school, instead I’ll just sit here and look at your beautiful house.” “Ummmm…Madina? No, you will not my dear child,” was my response both times. Every time she came up with a silly excuse of not going to school, my heart broke a little. Despite my broken heart and my daughter’s cold feet, I knew preschool would be a great adventure for her. The first day of school had finally arrived, and it was surprisingly easy to get both girls dressed, fed, and ready to go to school. Hafsah was to be dropped off first, as her school started the earliest. Next, it was Madina’s turn. Thankfully, parents are encouraged to stay with their children for the first day of preschool, so that the kids feel more comfortable. My mind relaxed after seeing Madina follow the instructions of the teacher, and my heart smiled after watching her sing to the ‘days of the week’ song. There I was, standing in the corner of her classroom, watching my baby girl become a preschool student for the first time, and I was okay. She was okay. We were okay. I’m still waiting one year later for the first day of my boy’s studies. He’ll go to Elementary school directly. I dunno what will happen with him next at his school. That’s very true Sister, I’d love enjoying this moment. And I really enjoyed reading your nice posts!